Tomorrow, Arkham Nights will start. My best wishes to everyone attending this event to have a great time. Ask tons of questions on upcoming expansions and disappeared FAQ. And please, post somewhere an image of the new AOs. 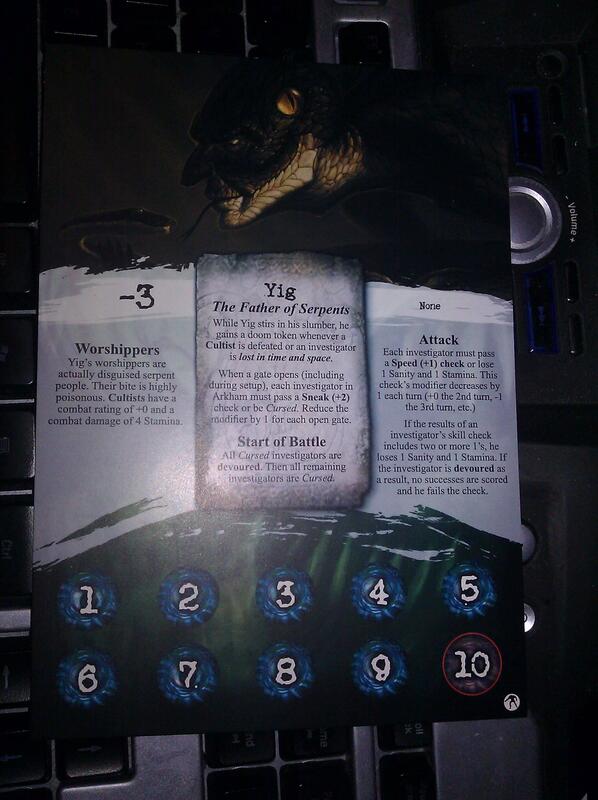 This version of Yig is full of evil. It's really *nasty*. Love it, love it, love it.